Cheese is a British favourite: endless flavours, delicious combinations and added health benefits, it is a staple item of any diet. 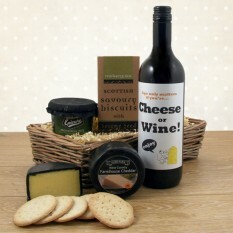 Teamed with a good bottle of wine, and you can bring a smile to all cheese lover's faces! 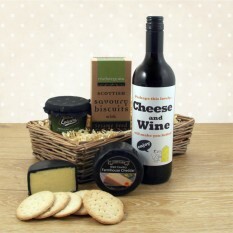 And that's why our classic Cheese, Wine and Pate hamper continues to remain our No.1 Best Seller at Smart Gift. 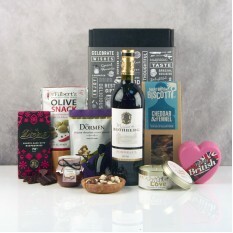 With a selection of treats that can be shared and enjoyed by anyone, it is a gift that suits almost any occasion; Birthday, Thank You and Get Well as just small examples. 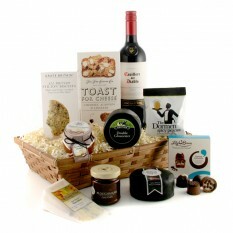 Searching for a luxury Cheese and Wine hamper? 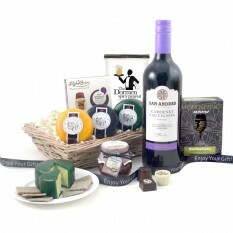 But we don't just have one hamper, we have dozens... Each basket is specially created for cheese artisans and our choices of appetising cheese hampers will never fail to please! Ranging in lots of sizes, prices and with selections of different cheeses, we have endeavoured to create a selection that incorporates everyone's preference. 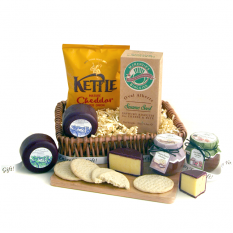 For the ultimate cheese lover, we suggest you send our hugely popular A Trio of Cheese gift basket! With a selection of three irresistible, quintessential flavours and accompanied by your choice of red, white or rose wine - it is a brilliant treat for anyone who deserves an evening of ultimate relaxation and indulgence. 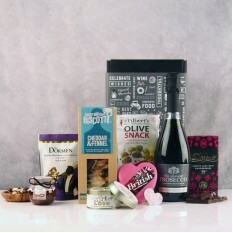 Topped off with Cottage Delight chutney, our trusted Lily O'Brien chocolates and lots of tasty snacks, it is destined to quench all the right tastebuds and all at a very affordable price. 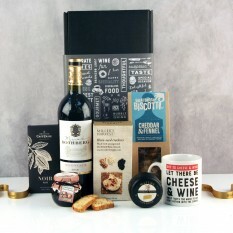 Or, if you're looking for something with a little more, why not choose our Gifts for Cheese Lovers box... With a novelty gift mug all about the joys of cheese and a helpful guide to wine combinations, its a brilliant treat for those who simply love cheese. 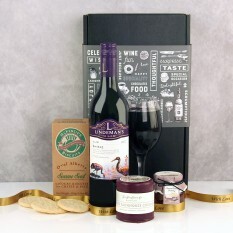 We also know that not everyone appreciates red wine, so we offer the choices of white and rose too with our hampers. All you have to do is select from our menu provided for your choice of either red wine, white wine or rose wine. 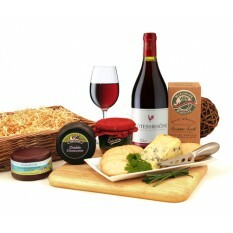 Good product, I sent wine and cheese as a birthday gift, the recipient loved it. Highly recommended. My response to a question I emailed to customer services was dealt with well and was helpful. The item I ordered was for a Wedding Anniversary present for my parents and they received it on the day I had requested. I have not seen the hamper but my parents were delighted. One of the things that attracted me to this site was the reasonable delivery charge compared to others. Overall I have been very impressed and would have no hesitation in using it again/recommending it. 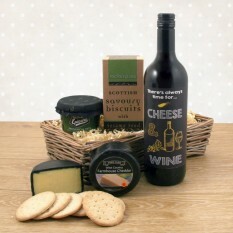 A very nicely presented cheese gift, better than expected and delivered very quickly exactly as expected. Good communication throughout. Thanks for the good service.